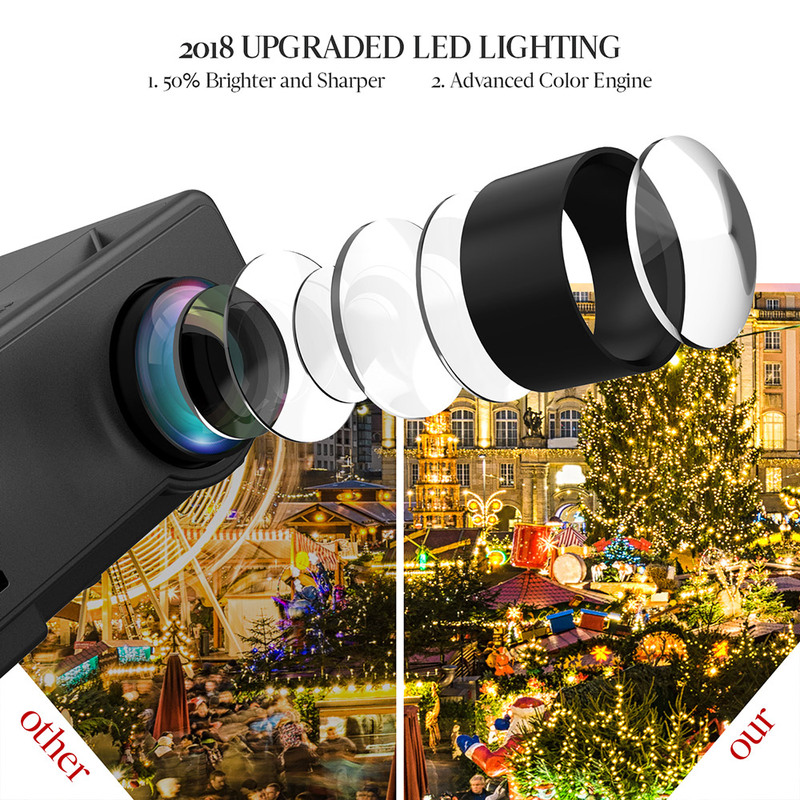 UPGRADED VIDEO PROJECTOR: This portable projector brings you a 50% brighter and sharper image than other comparable mini projectors on the market. 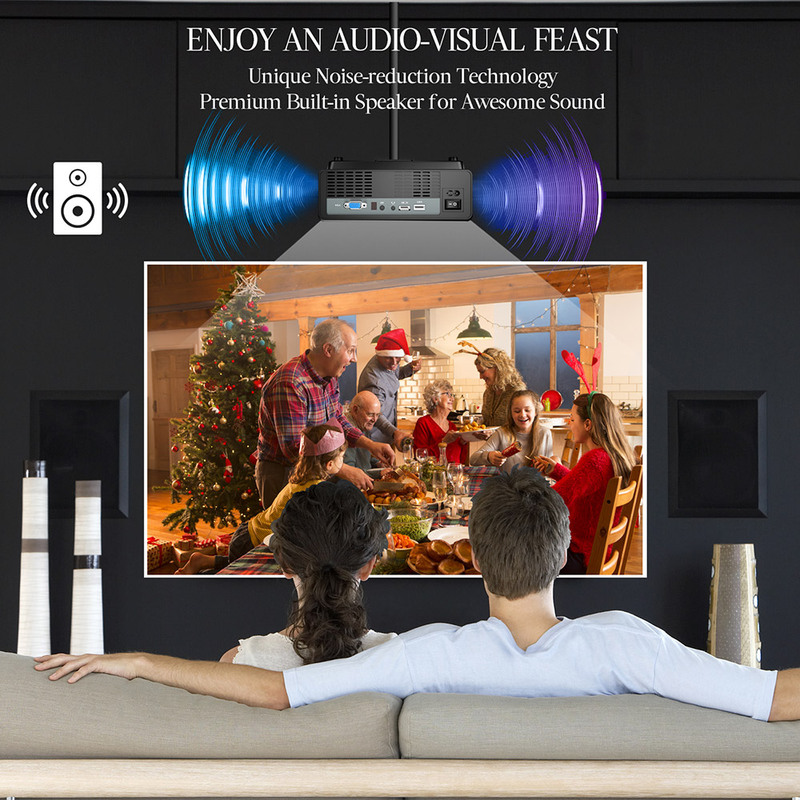 Support Full HD, It’s an ideal projector for your home entertainment needs. Not recommended for PPTs or business presentations. 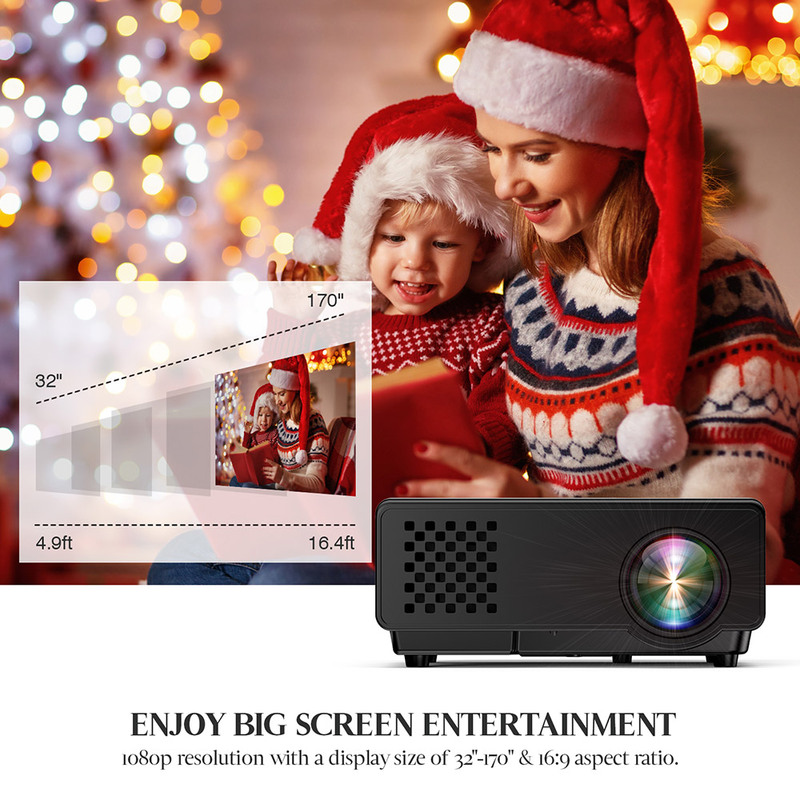 EXCELLENT VIEWING EXPERIENCE: This video projector offers you a screen display size of 32-170 inches at a projection distance of 1-5m. 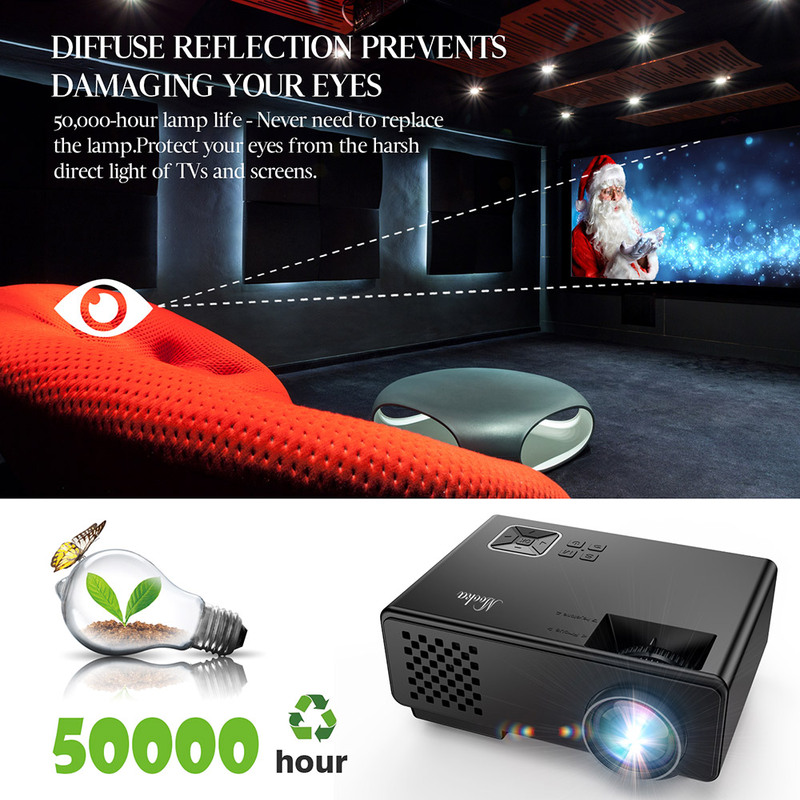 The optimum distance for this projector is 2 to 2.5m, which will display a super-sharp, bright 120-inch image. 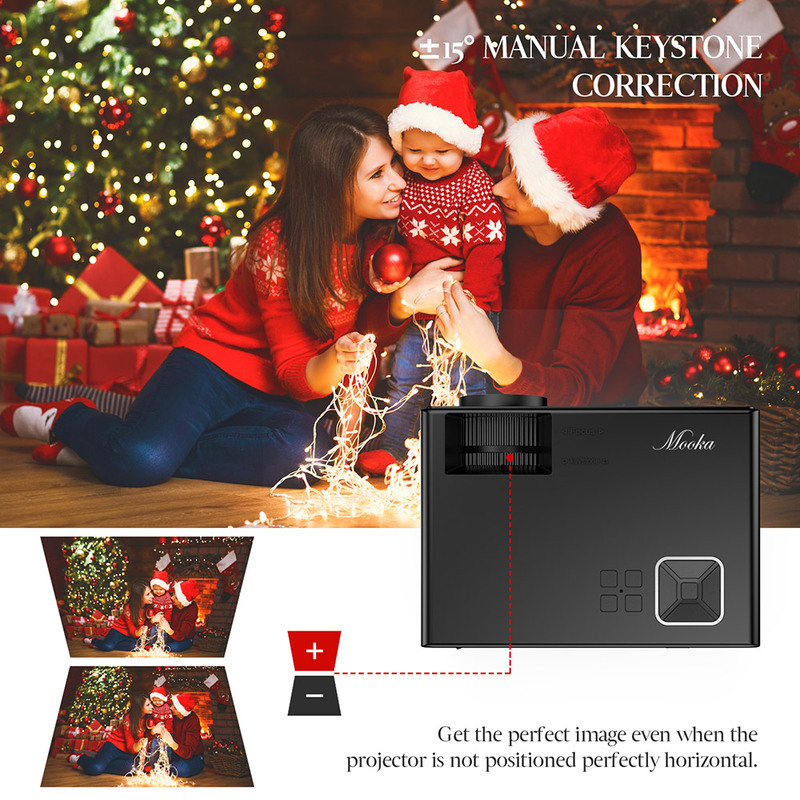 INNOVATIVE FAN AND ADVANCED BULB: The MOOKA projector’s cooling fan provides awesome heat dispersion and is lower in noise due to an improved fan design, as well as the application of innovative materials. Moreover, the advanced bulb design is highly energy efficient with 50,000 Hour life thereby using less energy. 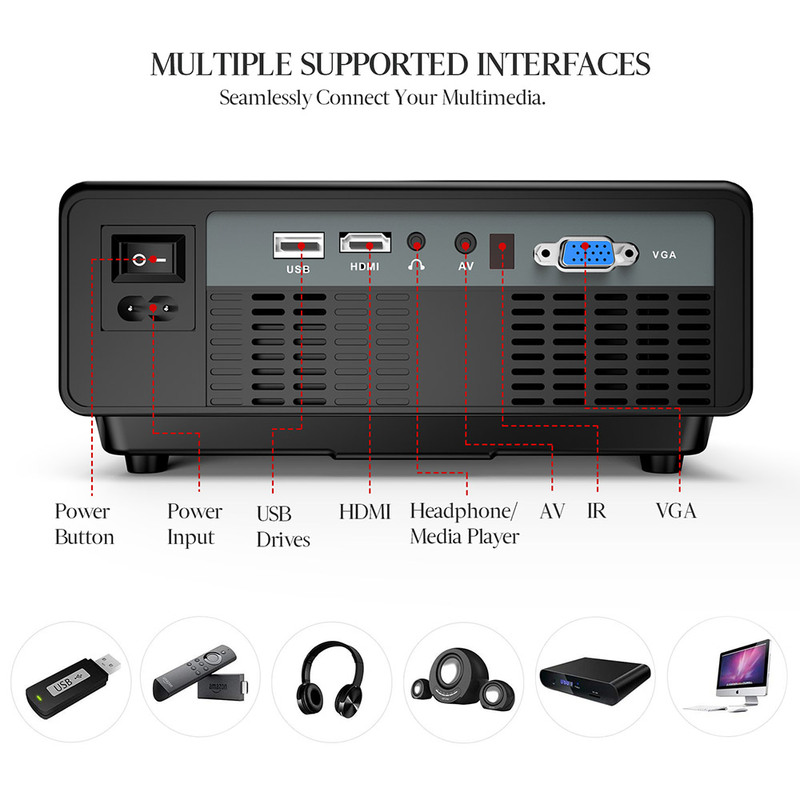 VERSATILE MOVIE PROJECTOR: This projector supports a huge array of multimedia; it can be connected to PCs, laptops, smartphones, tablets, USB drives, DVD players, ROKU, Amazon Fire TV Stick, Xbox and Apple TV. 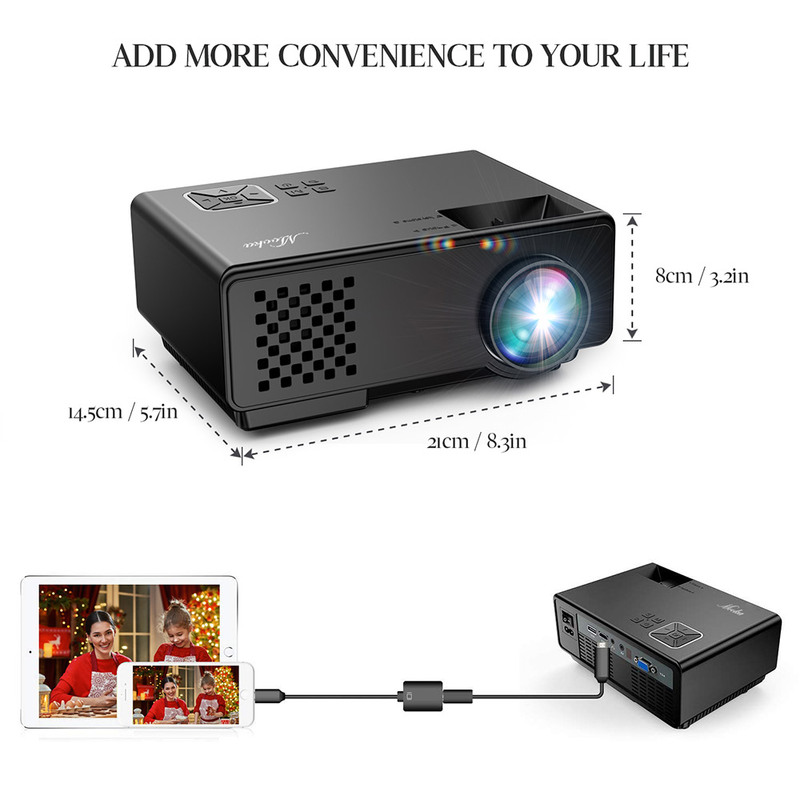 This offers great versatility in what you can display with this projector. NOTE: When connected with smartphones, a Wi-Fi display dongle or HDMI adapter (not included) is needed. QUALITY GUARANTEE: We offer a 30-day unconditional return and a 12-month guarantee. If you have any problems with the projector, simply contact us so we can resolve your issue promptly to your satisfaction. Question: I’ve seen other projectors offering 20,000 hours of life to the bulb, does this projector offer anything similar? Answer: In the description it says “50,000 hours”. Question: Would this work with Xbox 360? Need to set it? Answer: Yes, but you need to check whether the resolution of your Xbox 360 is in compliance with it. 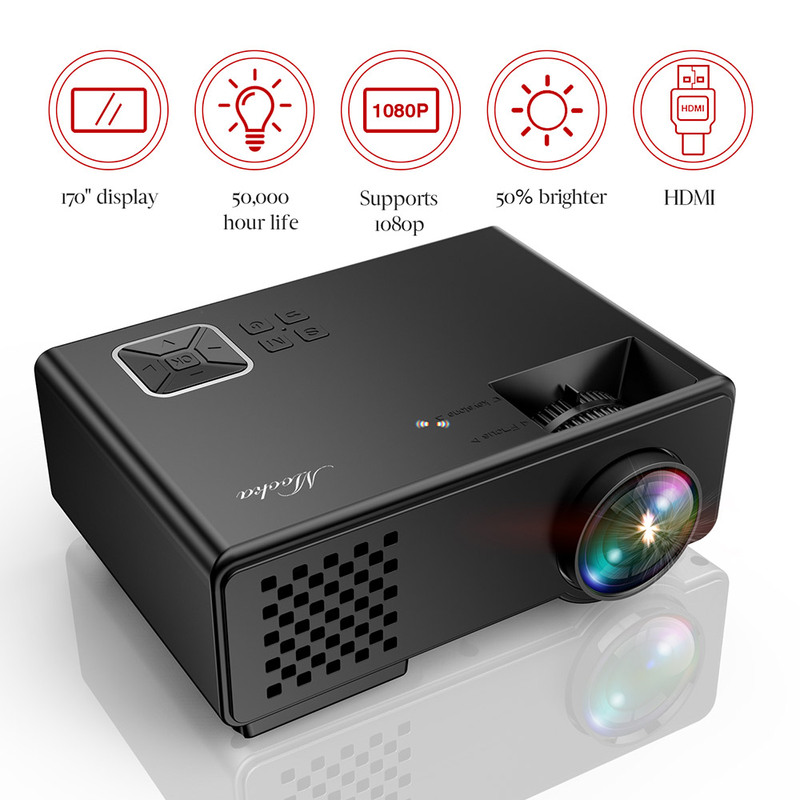 Question: do i need to purchase a screen with this projector? Question: Does it have a battery? Question: What do I need to connect this to iPhone or a laptop? Answer: For iphone: you need to use a lightning to HDMI cable or a wireless HDMI dongle to connect it. For laptop: if your laptop has HDMI port, use the HDMI cable (included) to connect it. MAC air: need to use MINI display to HDMI adapter. Question: Does it have speaker(s)? Do I need to buy a speaker? Answer: Yes, the projector has a speaker. You don’t need to buy external speakers. Question: Can it play movies that are on a flash drive? Answer: Don’t see why not, but I’ve only used it to project still pictures on flash drive.